Has anyone noticed how good Tesco have been to the blogging world recently? Every day I open my Google Reader to find a lucky fashion blogger showcasing some beautiful clothing from the new Tesco range (which is fab for a supermarket range, isn’t it?!). There I was, jealous of everyone thinking how fashion bloggers get all the breaks when into my inbox popped a lovely little email from who else but Tesco. Not only have they been clothing the best dressed bloggers around but they’re also launching an awesome Christmas cupcake decorating competition! Wow, try saying that ten times fast! All you have to do is bake yourself a pretty little cupcake and make an already adorable creation beautiful! 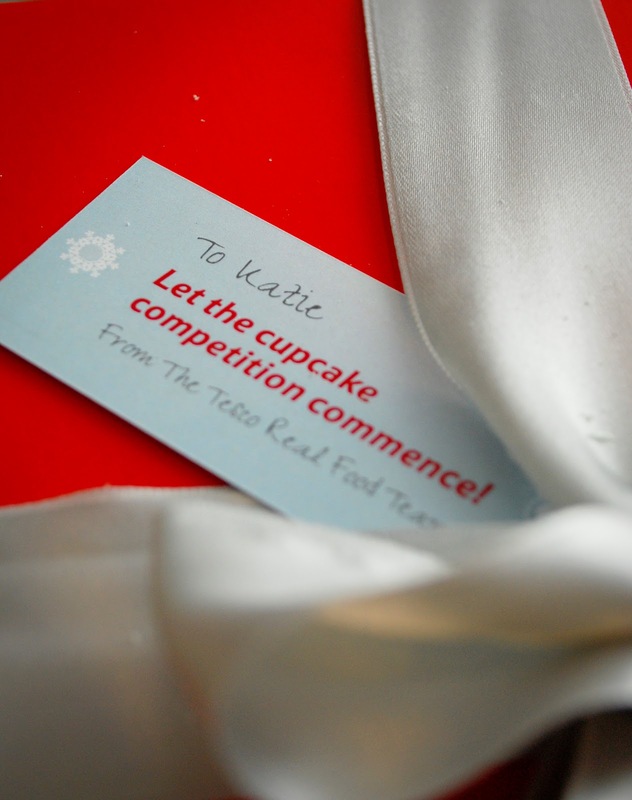 Two winners will get to spend an afternoon cooking alongside a delicious celebrity chef while ten runners up will be gifted a lovely cupcake decorating kit which looks suspiciously like this…. So, what are you waiting for?! And if you fancy a little inspiration, here is what I whipped up this afternoon! Previous Post A little late! Ooooooh that does sound like great fun. Love the snowflakes by the way. Gorgeous … As usual!! Where did you get such a tiny gingerbread man cutter?? my friend bought me these miniature gingerbread men from m&s last weekend! My box arrived today! I can't wait to get baking!